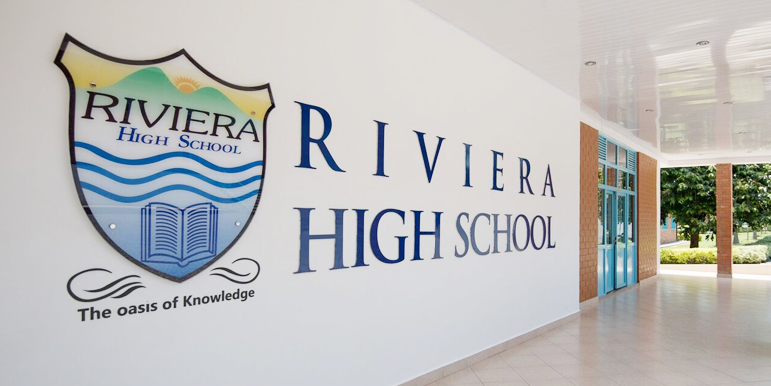 Rivera High School is a private institution that was founded in 2007. This was in response to the President’s appeal for private investors to enter into the education sector. It is a high quality secondary boarding school, for boys and girls, with capacity for a total of 600 learners. Opened in January 2007, it is now in its eleventh year of operation and is recognized for its high quality in terms of academic performance and student discipline. The school offers the Rwanda National curriculum under the Rwanda Education Board (REB) and the Cambridge International curriculum at ‘O’ and ‘A’ levels. We have the added benefits of computer studies, practical science work carried out in a lively but strict learning environment. The school prides itself in a teaching staff made up highly qualified and well trained professionals. The recruitment process ensures that a prospective teacher shows demonstrable competence in the subject area and also in mentorship. Discipline is highly prized and well maintained at three levels – spiritual, social and academic.